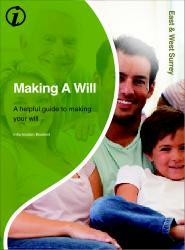 The first two pages on our latest section, Making a Will, have now been added to the website. The first page, The Importance of Making a Will, deals with why you should make a will and what happens if you die intestate (without having made a will). There are a lot of issues to consider when making a will which can be complicated by family issues and the law. The second page deals with How to Make a Will. It talks about the different ways that a will can be made, either by yourself, a solicitor or professional will writer. It examines some of the potential pitfalls of DIY wills and goes on to detail what should be included in a will. As new pages are added we will be letting visitors know via this blog. This entry was posted in Making a Will and tagged Making a Will on August 14, 2013 by impactadmin.